It can be difficult to coordinate activities and collaborate among software development teams. 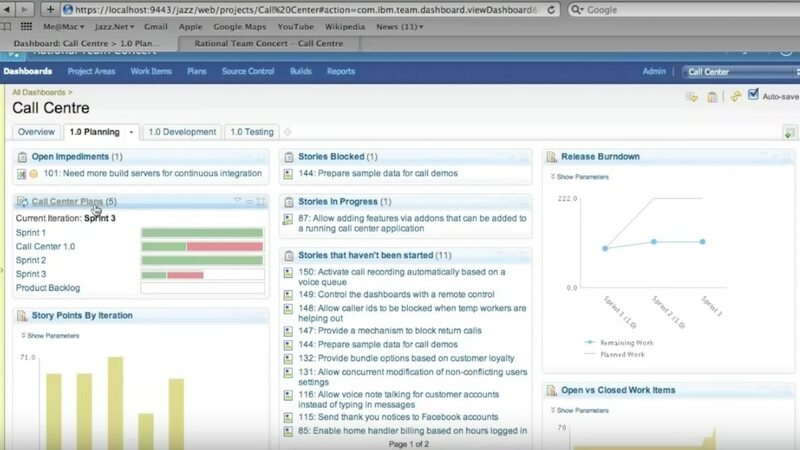 IBM Track and Plan on Cloud is a software development team collaboration tool that can manage projects across many teams. It is designed for professional team members actively participating in a project. Each licensed user gains full read and write access to change management, report customization and planning. It also provides read-only access to requirements management quality management, source code management (SCM), distributed SCM and build management. Track, plan, and collaborate with linked work items and tracability. Get strategic projects started faster, equipping developers with the necessary tools and capabilities. Increase productivity with better project management – even when your teams are geographically distributed. Stay on top of project activities and team progress with multilevel dashboards and reporting features. Leverage task boards, product backlogs and burn down charts to communicate progress. Utilize the cloud to get up and running faster and focus on technological innovation. Process templates in Agile, traditional and OpenUP development get projects started quickly using best practices. Gain a single source of truth with dashboards and analytics to help you respond rapidly to both positive and negative indicators in your projects. Integrate with popular change management systems. Track and Plan on Cloud is one tool to collaborate across teams, plan sprints, run scrums, and track work in a single tenant cloud HTTPS secure site. Track and Plan on Cloud is one tool to collaborate, plan sprints, run scrums, and track work in a single tenant Virtual Private Cloud w/an IPSec VPN Tunnel. Collaborative Lifecycle Management Contributor Authorized User Single Install License + SW Subscription & Support.